In 2009, the federal government appropriated more than $7 billion to broadband investments throughout the country with the goal to provide high speed internet access to underserved communities nationwide to increase job opportunities and provide ongoing economic benefits. North Carolina’s rural towns and counties, like many underserved communities in the nation, lagged in broadband access limiting them from educational tools, healthcare technology and jobs. At the start of this initiative, 69 of North Carolina’s counties were either completely or partially underserved – by the federal government’s definition – lacking the minimal amount of broadband infrastructure needed to function at modern standards. MCNC, North Carolina’s technology non-profit overseeing broadband coverage statewide, secured funding for the state to access federal appropriations. As part of this project, the Golden LEAF Foundation awarded $24 million in matching funds to MCNC, creating a comprehensive plan known as the Golden LEAF Rural Broadband Initiative (GLRBI). 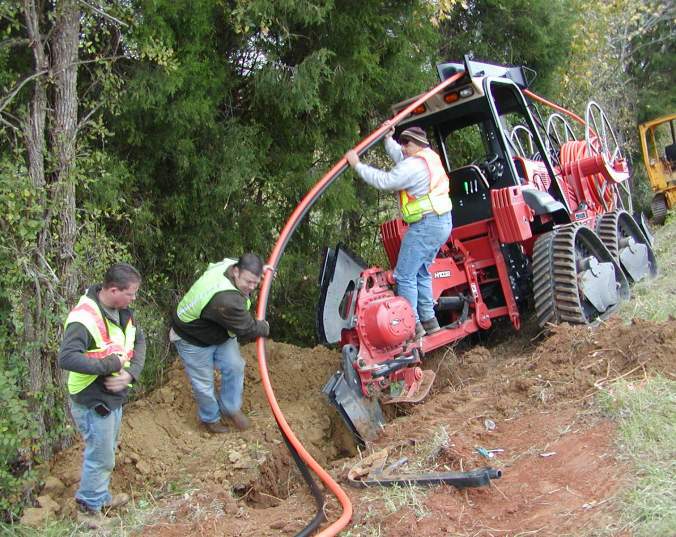 By 2013, the GLRBI was completed – with a total of $144 million in funding total dedicated to the project that spanned more than 82 counties across the state, providing more than 2,600 miles of fiber. The historic collaborative effort to expand broadband access across the state continues to yield results: 2018 reports show that North Carolina will be the first state to have every classroom connected to high speed broadband internet by the next school year. "The Golden LEAF Rural Broadband Initiative is an historic investment that will bring much needed, affordable broadband access to the residents of rural and traditionally underserved areas in eastern North Carolina. Without high-speed Internet, many citizens and businesses in this region will not be able to take advantage of innovative technological advances or effectively compete in the new global economy. I would like to congratulate MCNC on completing this project."